The major bus route 36 linking Ripon, Harrogate and Leeds is to be boosted by a larger and more regular fleet. The announcement was made by bus operator Harrogate Bus Company at a meeting of the Harrogate Chamber Of Commerce. 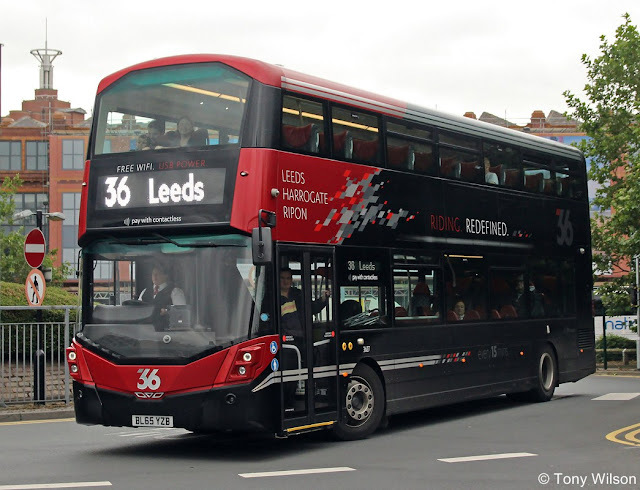 Investing £800,000 into the route, three new buses will enter into service as it aims to provide a bus every 10 minutes between Harrogate and Leeds from Sunday, October 29th this year. The investment follows last years £3.3 million launch of the company’s premium route. Each of the new buses will include features such as free 4G wifi, a chillout area with work space and more. Efforts to develop the busy route between Harrogate and Leeds are also part of the company’s green initiative push. From next year its network of routes will begin a shift entirely towards electric buses across a five year period, using next generation charging technology.